Is South Carolina Military Academy Connected To Church Shooting? 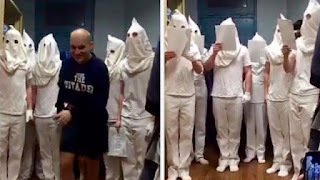 A small group of students were suspended from South Carolina Military Academy yesterday, after pictures of the students adorned in all white outfits and their heads covered in pillow cases went viral online. The recruit's protected their decision, verbally expressing they were just reenacting the "Ghost of Christmas Past". A fictional character from the Charles Dickens novel "A Christmas Carol". A novel that has been reenacted in plays and films. 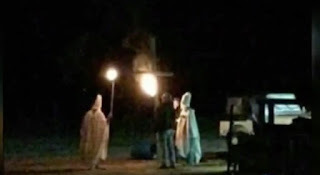 I don't recall Mr. Scrooge being haunted by a group of KKK from Christmas past. The Citadel president Lt. John Rosa, expressed his disdain for the incident in a Facebook post. Explaining, that the images contradict the integrity of the academy and assured that the incident is under investigation. Ready to connect some dots? 60% of African slaves brought to America entered through the ports of South Carolina's Lowcountry. One of those slaves was Denmark Vesey, who eventually purchased his own freedom and became a co-founder in the Emanuel African Methodist Episcopal Church. Also known as "The Citadel"; South Carolina Military Academy was once named South Carolina State Arsenal, and was built in 1829 as a military garrison after a planned slave revolt led by Denmark Vesey in 1822. Vesey planned a huge rebellion across multiple plantations and an escape to Haiti for refuge, but his plan was faltered by slaves who were loyal to their owners. 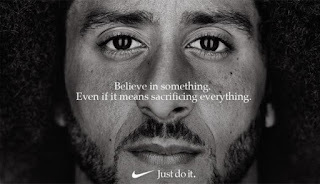 The aftermath resulted in the executions of Vesey and 35 others and the Emanuel African Methodist Episcopal Church being burned to the ground and black churches made against the law. The Citadel was built out of fear to contain a future revolt. The church was rebuilt after the Civil War, only to be devastated again by an earthquake in 1886. In 1891 the church was rebuilt again and it's the same church where terrorist Dylann Roof gunned down 9 members of its congregation earlier this year. 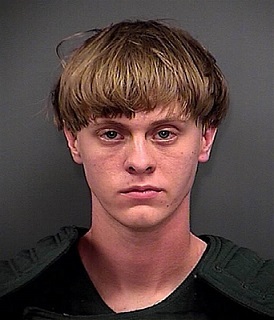 Now the question is, does Dylann Roof have any connection to South Carolina Military Academy A.K.A The Citadel?